We consider a self-consistent system of spinor and scalar fields in a Bianchi type I gravitational field filled with a viscous fluid in the presence of a cosmological constant. 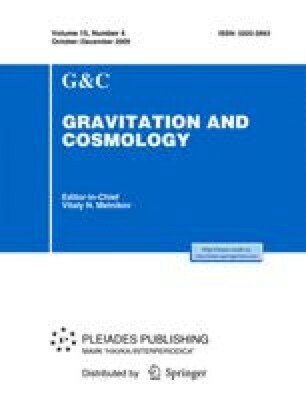 Exact solutions to the set of spinor, scalar and gravitational field equations are obtained in terms of v, the volume scale of Bianchi-I universe. A set of equations for v and ε, where ε is the energy of the viscous fluid, is deduced. Some special cases allowing exact solutions are thoroughly studied.